Summer offers the best time of the year to visit friends and enjoy long road trips. Smart drivers know how to keep the good times going on the road by adhering to the 10 Summer Car Care Tips you’re about to read. Proper preparation prevents avoidable breakdowns on the road. You benefit a lot by applying these 10 Summer Car Care Tips! Are you ready to learn these summer car care tips that save money? 2. You benefit a lot by following this Summer car maintenance checklist! Sometimes it gets so hot in the summer that public health officials warn people about heat strokes. This extreme heat also affects your engine performance due to overheating. Moving engine parts are likely to break easily because overheating makes steel malleable. How often do you check your engine’s coolant? Motoring experts recommend buying new coolant after every 30,000 miles. Drivers who neglect draining old coolants end up with badly corroded engines. Stale engine coolant turns acidic after 30,000 miles of driving. Make sure you visit a good mechanic to test your coolant’s quality. Contaminated engine coolant affects engine performance. You need sufficient brake fluid to keep your brakes functioning efficiently. A car that has insufficient oil level tends to overheat because moving engine parts lack constant lubrication. Your car needs transmission fluid to ensure gear wheels move smoothly. Make sure you purchase recommended fluids because using quality products sustains high engine performance. Engine leaks cause overheating because an engine cannot regulate temperature without enough coolant. Engine leaks also affect your finances because you keep buying engine fluids more than necessary. However, they pose a great hazard because most engine fluids are highly flammable. Do you notice puddles of oil in the morning after parking your car overnight? Do not go on a road trip or any long-distance traveling until you fix the leaks. Otherwise, you might miss out on a comprehensive insurance compensation if your auto insurance company finds out that your car exploded due to negligence. Read: Are You Planning a Roadtrip? 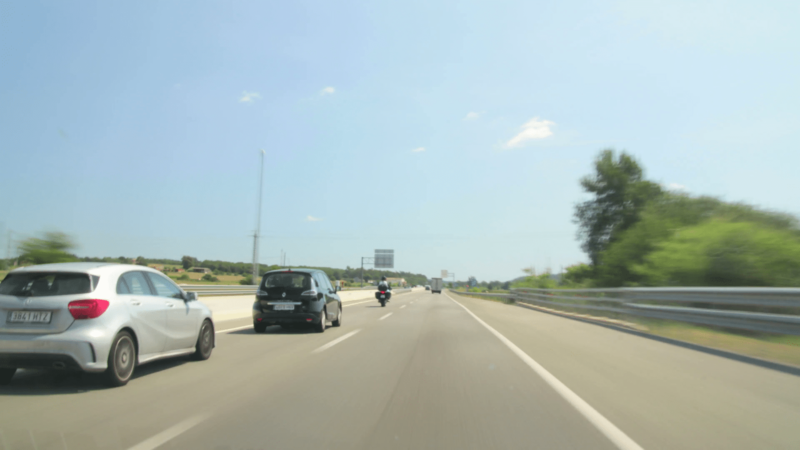 In July 2018, CNN reported that vehicular heatstroke claims 36 lives each summer. However, the saddest fact about vehicular heatstroke deaths is that children seem to be the only victims. Most pet owners have regretted locking their dogs in the back seats because vehicular heat stroke claims both animal and human lives. However, you can prevent this disaster by having your air conditioning system repaired by a qualified mechanic. Ensure that all fans are working to prevent uneven temperature regulation. Have you ever burned your hand when entering a car that’s been parked for hours in the hot afternoon sun? That’s because some car seats retain a lot of heat than others. Rexine is definitely the worst car seat material because it can actually scald your skin. If you have rexine car seats, you need to get rid of them fast. Cotton car seat covers are safe for summer driving because they have a low heat absorption rate. They’re also easy to clean and highly durable compared to rexine. Cars parked in direct sunlight overheat at a fast rate because there’s no outlet for the rapidly accumulating heat. Smart car owners minimize heat absorption by installing windshield sunshades in the front and rear windshields. They’re actually really affordable. Make sure you place the black side facing inside the car. A wrong installation will crack your windshields because the color black has a very high heat absorption rate. Overheating forces your windshields to expand in confined spaces and cracks appear. It rains heavily during the summer. Driving in the rain requires high visibility to prevent collisions or veering into ditches. You need reliable car wipers to see the road and drivers ahead of you. If you’re planning a long road trip, it’s necessary to service your car wipers because some places experience heavier downpours than others. In case an accident occurs due to poor visibility and your auto insurance provider realizes that you intentionally drove your car with faulty wipers, you don’t get any compensation. Extensive vehicle repairs cost more than 10 times the price of purchasing a new set of car wipers. High summer temperatures cause tarmac roads to absorb heat at a high rate. Unfortunately, the color black has a poor rate of releasing heat. Driving for long distances in this weather makes your tires more vulnerable to punctures due to high heat absorption. Your tires absorb heat from both the sun and tarmac roads. Make sure you get new tires because the tough rubber has a lower heat absorption rate than old ones. Have your tires aligned in order to maintain stability when driving at high speeds. Summer heat can affect your car’s engine in several ways. We’ve learned how overheating can affect your engine’s temperature regulation efficiency. High outdoor temperatures can directly affect your car battery by causing leaks and overheating. It’s important to inspect your battery frequently when driving in the summer. Car batteries contain concentrated acid that’s really corrosive when it comes in to contact with metals. You may end up replacing all components surrounding your battery due to a major sulfuric acid leak. Summer driving is pleasant and therapeutic because the weather is great and the landscape is quite appealing. If you’re planning a road trip in the countryside, you’ll enjoy unlimited fresh breathing air. In order to keep this going, make sure you clean your car every day. Your car can reek of sweat if you neglect to wash your car seats often. Make sure you don’t leave food wrappings inside your car because the high summer heat causes faster decomposition of organic matter. You don’t want your car smelling like a dead animal due to rapidly decaying pizza leftovers beneath your car seats. Applying these proven tips will ensure that you have a reliable car to take you to various destinations throughout the summer. It’s really embarrassing and frustrating dealing with unexpected mechanical breakdowns while other drivers whizz past you.